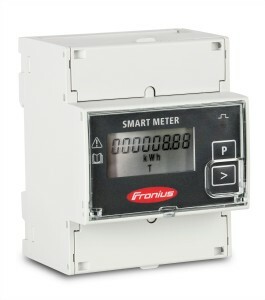 Fronius is a top-quality Austrian company specialising in grid-connected inverters. The Fronius Inverter comes with a market-leading 10-year warranty. In the development of PV inverters, Fronius has thought out new technologies, searched for innovative solutions, and has found completely new answers for monitoring and controlling energy. The result: highly functional grid-connected inverters, which interact seamlessly with all solar modules. All Fronius inverters come with built in WiFi as standard, enabling system generation data to be loaded directly to the Fronius web portal for real-time system monitoring. 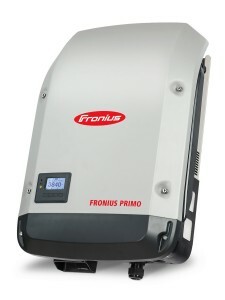 Fronius inverters are the only fully integrated inverter on the market, providing a more elegant, compact installation. Primo Inverters come in power categories from 3.0 to 8.2kW for single-phase grid-connected systems. 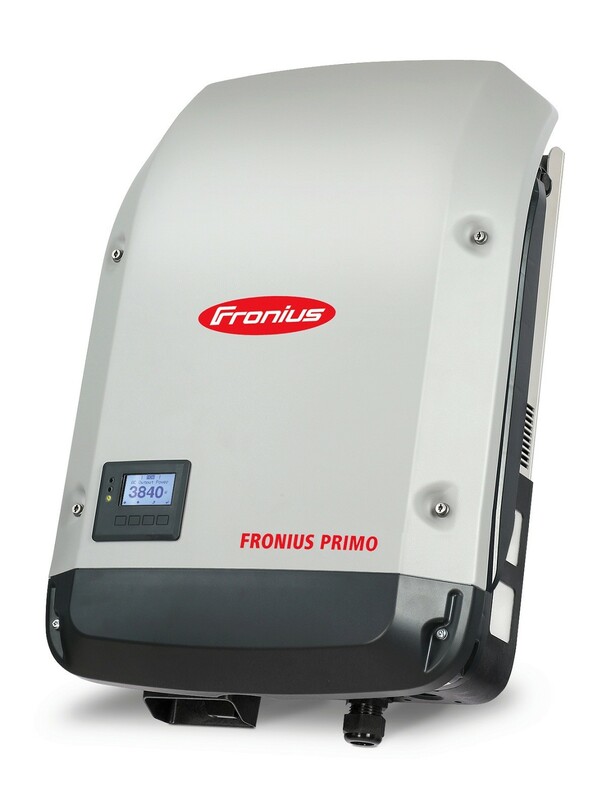 The Primo inverter is ideal for residential systems, and contains several interfaces that enable commuication with the user, the PV system, and the grid. Symo Inverters are an ideal inverter for three-phase systems ranging from 3.0 – 20.0kW. It is one of the lightest 3-phase inverters available. The Symo has a wide input voltage range and two MPP trackers to ensure superb design flexibility. Eco Inverters, available in 25.0 and 27.0kW power categories, are specifically designed for large-scale installations on three-phase systems. This Inverter is rated to IP66. Fronius have developed a Smart Meter that enables you to monitor precisely how much power you generate, use, and export back to the grid at any given time. Both live and historical data can be viewed via your desktop or smart phone, enabling you to track and manage energy usage over time.